On July 10, 2017, Hillside was proud to officially break ground on the 2017 Hillside Bunker Project. 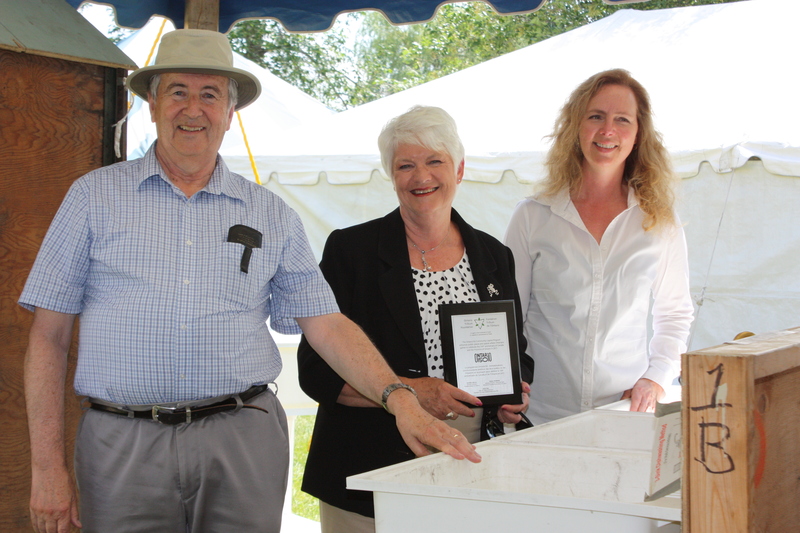 In attendence were MPP Liz Sandals, Mayor Chris White, Ontario Trillium Represntative David Murray, Hillside Site Administrator Janet Linwood, Site Director Lloyd Grinham, the Hillside Board of Directors, and Executive Director Marie Zimmerman as well as representatives from the media. The Hillside Bunker Project is the next step in a multi-year project to continually improve The Hillside Community Stage. The Bunker is a sub-stage area where electrical infrastructure is housed so that it is safe, dry, and functional for festival use. In the 14 years since the stage’s construction, moisture has been a significant problem for the Bunker, which results in an increased hazard risk to staff and volunteers as well as continued damage to important systems. 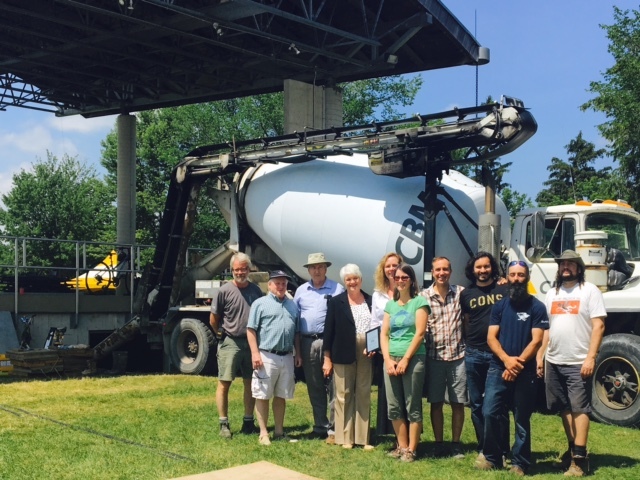 With the generous support of the Ontario Trillium Foundation, who are contributing 50% of the $11,200 cost (or $5,600), we are able to replace damaged components and refurbish the Bunker so that it is safe for use. 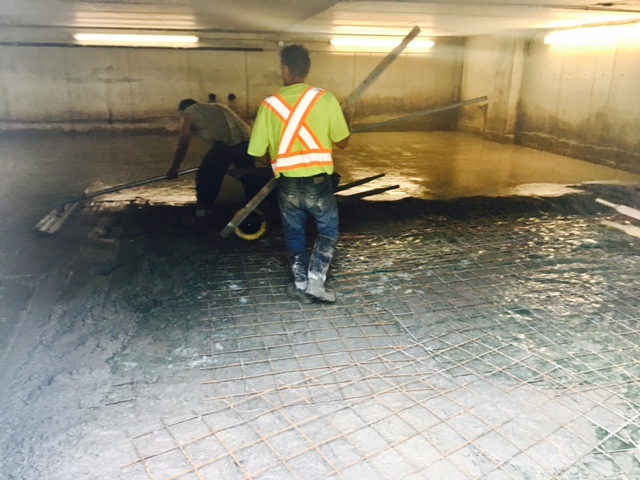 These upgrades, including the creation of a concrete floor, will ensure the Bunker remains functional and safe for years to come. This will enable Hillside to continue to put on stellar, unique and creative programming! 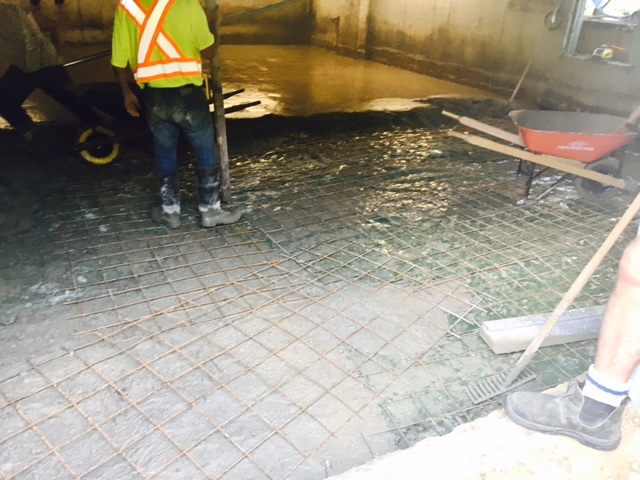 Cement being poured and evened out in the bunker. 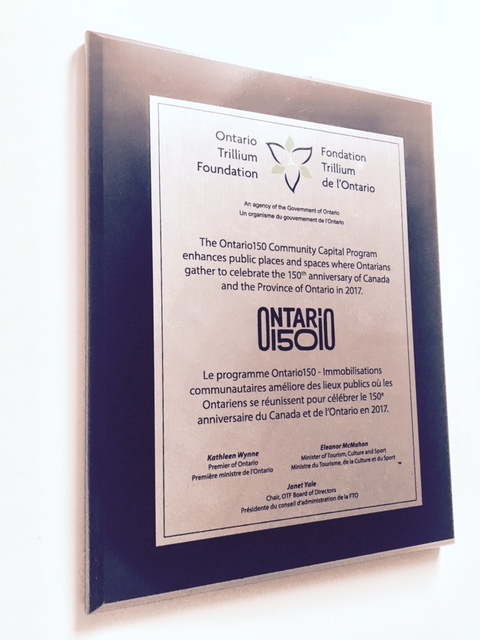 Plaque hanging in the Hillside offices.